Today I had the pleasure of meeting Maryanne, author and bead artist, of Zingala's Workshop blog. When we discovered that we live fairly close to each other and patronize the same bead shop we talked time and time again about meeting up - and finally today I got to meet her! And I'm sorry it took me so long, because she is really delightful! We met at Bead Soup, a fantastic bead store in Savage, MD. What makes a bead store fantastic? Having beads is one thing, but Bead Soup's owner, Kathy, seems to have a knack for creating really fun/unique/inventive events that attract many of the beaders in the area! Sometimes there is a theme, or a lesson, or a special activity, and sometimes it's just for the simple act of beading together. Today was the latter, a beading circle, to hang out and just bead and work on whatever you are working on! It's so great to be around other creative spirits and see all the bead work! 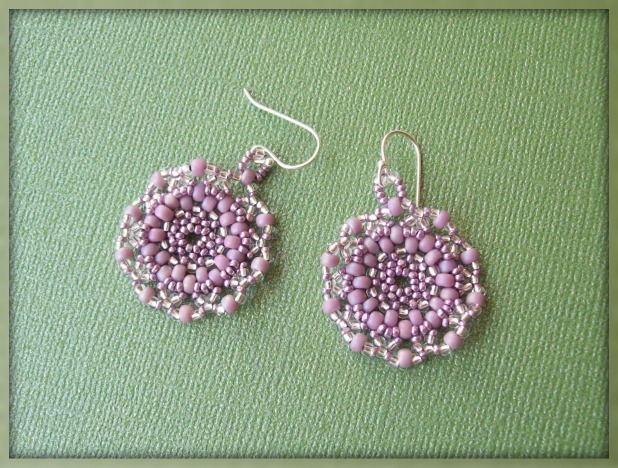 Since I didn't have an ongoing project to work on today, I made a pair of earrings during the beading circle. I used some rather delicious metallic purple charlottes, size 15. Everyone commented on how pretty those charlottes are! I agreed and admitted I've been using them a lot, because I love them so much....but then I complained that, in general I like purple, but I find it very difficult to photograph. Maryanne emphatically agreed!! She mentioned that she'd once read that photographing purple on a green background helps, but marginally. So, just for the fun of it today, I decided to photograph these purple earrings on various colored backgrounds. It's true - the green background seemed to give me the truest representation of the actual color. It should also be noted that I took the rest of the pictures in the exact same spot, the same distance away (give or take a few inches), using natural diffused light, and all were taken in less than 3 minutes. There wasn't a cloud in the sky so the light didn't change in those three minutes...the only variation of these photographs is the background was changed....and amazingly - here are the results! Can you believe those are the SAME earrings in each photo! I was really blown away by how BLUE one of them came out....and how PINK another came out! And frankly - how dull the purple is in so many of them because it is so vibrant in person! So tell me other beaders out there? How do YOU photograph purple?? 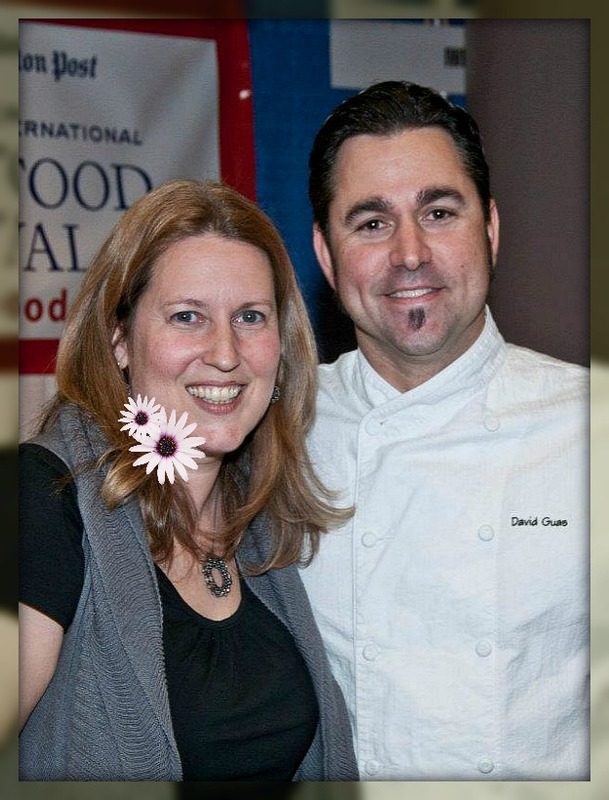 On another subject....my friend David Guas, chef & owner of Bayou Bakery in VA, who I worked with for a decade, has been nominated by Food & Wine Magazine as best chef in the mid-Atlantic. 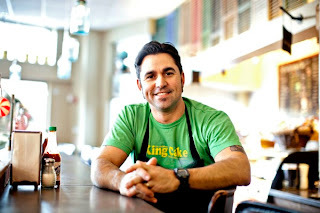 Anyway, right now he is neck & neck in the lead with a former Top Chef contestant! It would be a great favor to me if you would vote for him, here, on the F&W site! You know I have never been a fan of purple so have never really had to photograph it... I would never have thought it would be so difficult. Black and silver on the other hand, my faves, are nearly impossible! Your photos are amazing. 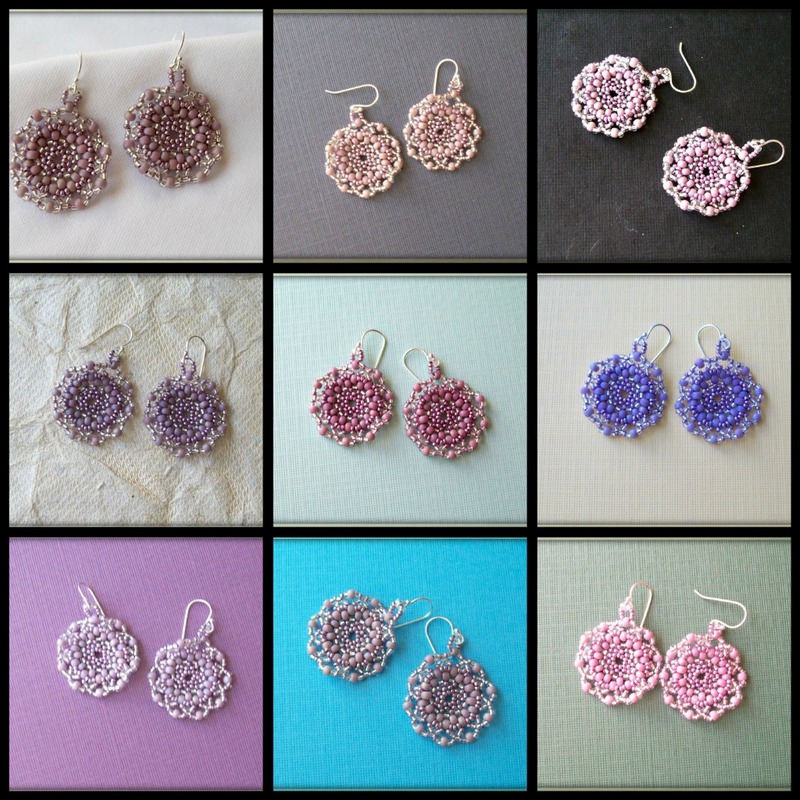 If I hadn't read the post I would have thought you had made around 9 pairs of earrings...the colour variation is amazing! Nice earrings too by the way! Amy, That is so great that you and Maryanne got to get together and meet in person at your favorite bead store. Marla Gibson of Spice Box Designs blog and I will be meeting in person at one of my favorite bead stores in the Birmingham, AL area on the 21st. Wow it is amazing how different the same pair of earrings can look just by using different back ground colors it just is mind blowing! I love the earrings by the way and they do look the best on the green back ground. It was great to meet you in person, Amy! I'm glad we had a chance to sit and bead! It was a fun afternoon and I hope we get to do it again! Bead Soup is a great store and Kathy works hard to come up with fun activities. Your pictures look a lot like mine when I try to photograph purple. Your earrings are so pretty but capturing that beautiful purple is so difficult. I don't often get the pink you get, but the grayed out color and the blue color are often what I get. The green does seem to help. I was happy to know that it wasn't just me and my limited photography skills. It'll be interesting to see what other people say about their experiences photographing purple! Enjoy the gorgeous weather today! I cant believe the difference. I am truly happy that you and Maryanne connected in person. How awesome that two of my favorite blog friends get to do that. I so wish I could have met up with you! What a day! It's always cool when you get to meet an online friend in Real Life! That must have been fun! And I totally understand the photography problems with certain colors! I too have issues with Silver and Black...and Purple. But that is a drastic range of colors...I also really thought it was 9 separate pairs of earrings in different colors! 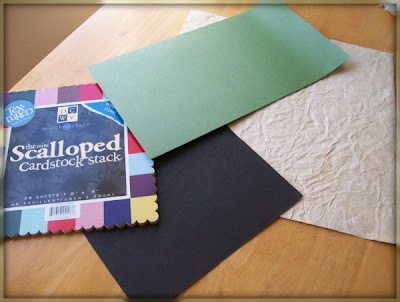 I like the advice about the background color...so it worked best using Green, the color opposite Purple on the color wheel...very interesting! I don't really know much about Color photography anyways, I mainly focused on B&W when I studied Photography in High School (a million years ago). But it is definitely somthing I need to brush up on if I want to get good photos of my beadwork! So, thank you for this interesting read! It definitely gives me something to think about and it will make for some fun experiments with my camera and beadwork! just adding on here...I know Purple and green are not actually opposites on the color wheel..haha! but that those specific colors of green and purple in the first photo are mostly opposite each other..or contrast colors. See, I really don't know much about color theory...haha! But I definitely want to play around with this idea...trying contrasting colors and complimentary colors etc for the backgrounds and see how this affects different bead colors. Sorry it's taken me so long to read your blog! I'm sitting here on a Sat. night with a purple lariat in the making and watching Oddities(can't believe that I am telling someone this!) and thought I needed to take a break. Fascinating finding about the color. Off to vote for your friend! Oops! Too late on the vote. Ah well. What an honor to be selected anyhow!